When you’re talking about roles, it’s a common concern that you’re being limiting. That you’re pushing the experiences of millions of multifaceted people into a rigid set of requirements. There’s no No True Scotsman argument here. If you’re a black man, you are a black man. No-one’s taking that away from you, so don’t let them denigrate you for who you are. Instead, consider the different ways that you can help shape parts of your identity. Think of the roles you can wear and how they will help the world around you. When you’re talking about being a man, in any society or culture or race, you have to think about the other side of the coin. You have to think about women. Nowadays, there’s a fear that the gender divide is emotionally and politically wider than ever before. Women’s rights such as pay and bodily rights are still being fiercely debated. 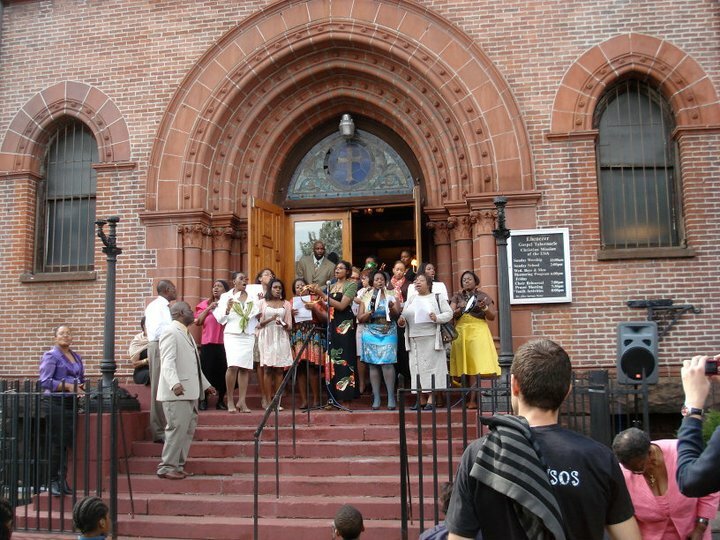 The Black Church is still facing labels of misogyny and abuse. All these filter through the lens. How are you treating your fellow black woman? Are you really listening to her voice? We’re not talking about cultural appropriation, though there is room for it. We don’t want to focus on the negative steps you can take. Instead, we’re focusing on how you as a person define black culture. One of the biggest problems we face today is passionate, go-getting black young people being told they’re ‘acting too white’. They aren’t. They’re a black person contributing to the culture as much as anyone else. Be proud of your culture. When people are displaying something positive to the world, whether it fits your notions of blackness or not, be proud of them. Nowadays, we have a big need for a lot of black voices. We need the stories of black people to be told and the range of black man to be expanded beyond the common, insulting media derivative. Hugely talented people like Lyriq Bent are doing a great job of that. But you shouldn’t just be looking at the bigger stars you can support. Support your local voices. If someone wants to express something, help them get over their fear and do it. We need young black people to be unafraid to take that step. We need young people of every age to have role models they can look up to. The lack of male role models showing younger men the way to go is not felt only by the black community. More young men are growing up fatherless than ever before. They need to get their role models from somewhere. That’s why it’s a good idea to get involved in community projects and start connecting with young people. Teach them the lessons of respect, pride and compassion that will shape a better future for them. You determine who you are. Be proud of it and continue to work on it. Every step you take makes ripples in the world toward a better future.